American Herald Tribune: How do you think the government of Nicolas Maduro can survive the US coup? What measures should be employed to secure their economy against US sanctions? 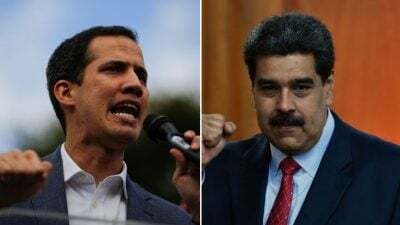 Paul Craig Roberts: Maduro would have to arrest Juan Guaido who without any doubt is guilty of sedition. Maduro would have to arrest the Venezuelan elites who are cooperating with the CIA against the duly elected government of Venezuela, and he would have to nationalize the media to take it out of the hands of coup plotters. He would also have to ensure that the country’s oil revenues make it into the government’s budget instead of into the hands of thieves and use the resulting financial stability to stop the high inflation. He should also arrange for Russian troops to protect their airbase and for Chinese troops to protect their oil investment. The presence of these troops would likely prevent a US invasion from Columbia. American Herald Tribune: Does Europe have the will to set up its own monetary system independent of the US? Paul Craig Roberts: Europe has its own central bank and its own currency. One problem with European financial independence is that large European banks have the same problem as the large New York banks and the European Central Bank cooperates with the Federal Reserve in managing the problem. The necessity of keeping crisis at bay prevents European independence. If Europe were to create a payment and clearing system independent of Washington, the likely response would be US sanctions against European firms and banks doing business in the US. If European firms are unwilling to give up their US business, there is not much Europe can do. American Herald Tribune: Some say the ‘special purpose vehicle’ SPV, called INSTEX, is an important milestone in the European effort to counterbalance U.S. economic power. What’s your take on that? Paul Craig Roberts: The same consideration makes it difficult for the Special Purpose Vehicle (SPV) and INSTEX, a bartering mechanism that bypasses dollar transactions to continue Europe’s trade with Iran. Washington has told Europe that if your enterprises want their access to US markets to continue, do as we say with regard to Iran and Russia. With this being Washington’s attitude, Europe would have to break with the US and redirect its business to other parts of the world. This would require nationalist leaders such as France’s Marine Le Pen. American Herald Tribune: Sec. Pompeo tweeted in Farsi against Iran’s government and called Iran’s revolution “40 years of failure”. What is the reason for his disgust of Iran’s Islamic Revolution? Paul Craig Roberts: Washington’s campaign against Iran reflects Israel’s hold over US foreign policy. Israel wants to expand in the Middle East, which requires removing the obstacles to that expansion. On Israel’s agenda is the water resource in southern Lebanon. Twice Israel has sent its army to occupy the territory and twice was driven out by the Hezbollah militia. Hezbollah is supplied with funds and arms by Syria and Iran. Thus, the Israeli-directed US attack on Syria and Iran. If these two countries can be destabilized like Iraq and Syria, Hezbollah will be left without support and unable to oppose Israel’s occupation of southern Lebanon.